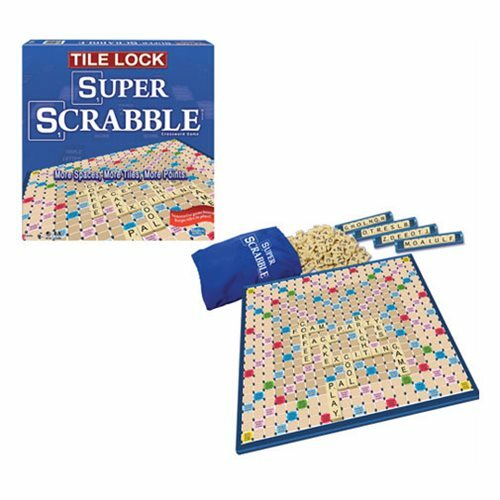 Featuring the bigger, better game play of Super Scrabble with the innovative Tile Lock design to hold your tiles firmly on the gameboard. Now you can rotate the board and angle it to get a better view! 2-4 Players. Ages 8 and up.